Bridge the divide between deeply listening and hearing. There are four types of listening behaviors, or levels. Each level has a different impact on your leadership performance. 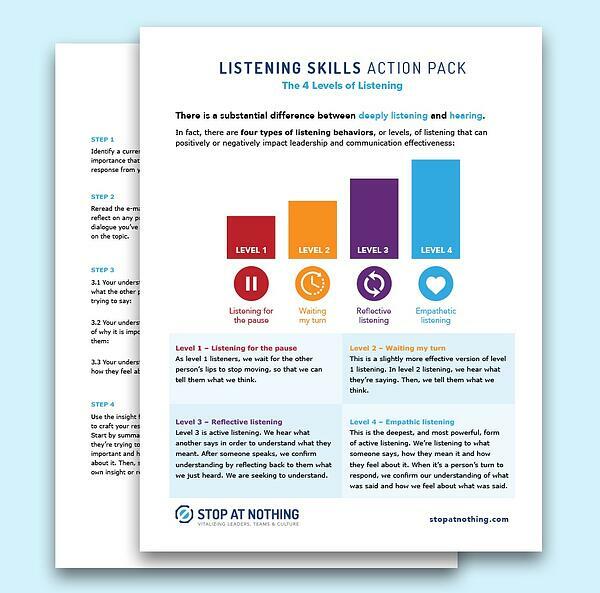 Discover how each level effects you with this comprehensive self-assessment of your own listening skills. Bridge the divide between deeply listening and hearing, and achieve emphatic listening. Fill out this form and get your Action Pack!